Beastie Boys fans continue to mourn the death of Adam “MCA” Yauch, who died last week after a three-year fight with cancer, but not everyone is being quite so respectful. According to AllHipHop, the group has been hit with a new lawsuit by Tuf America for copyright infringement stemming from samples used on the group's first two albums, License to Ill and Paul’s Boutique. The label claims the group used the samples illegally and are continuing to profit off of them thanks to recent reissues. 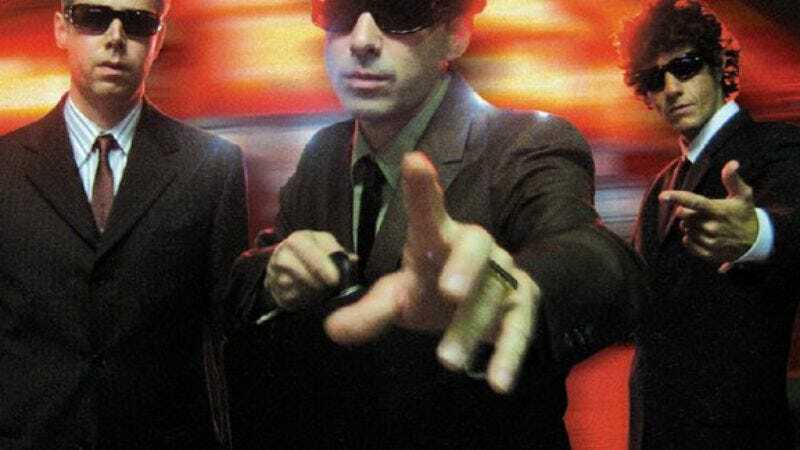 The lawsuit was actually filed in United States District Court for the Southern District of New York on Thursday, May 3, the day before Yauch died, but its timing is still unfortunate, rubbing a bit of salt in the Beasties’ wounds. Tuf America claims the Beasties allegedly used samples from Trouble Funk’s “Drop the Bomb” on “Hold It Now Hit It,” “The New Style,” both on License to Ill, as well as “Car Thief” off of Paul’s Boutique. Additionally, the lawsuit claims they swiped samples from another Trouble Funk song, “Say What,” for “Shadrach” on Paul’s Boutique. While the lawsuit will certainly be looked at unfavorably in light of its timing, there’s also the issue that the suit is relying on laws passed after the release of both albums: License To Ill was released in 1986 and Paul’s Boutique in 1989 while rulings pertaining to sampling issues weren’t instituted until the early 1990s. It’s an issue that Matthew Yglesias raised in a Slate column yesterday as to why Paul’s Boutique would be impossible to release in the present day industry landscape. Statute of limitations in copyright infringements are usually held to within three years of the alleged infringement, which might be why the lawsuit takes care to mention those 2009 reissues (but we’re not lawyers so take that bit with a grain of salt). As of this time, the band has made no statement regarding the lawsuit.